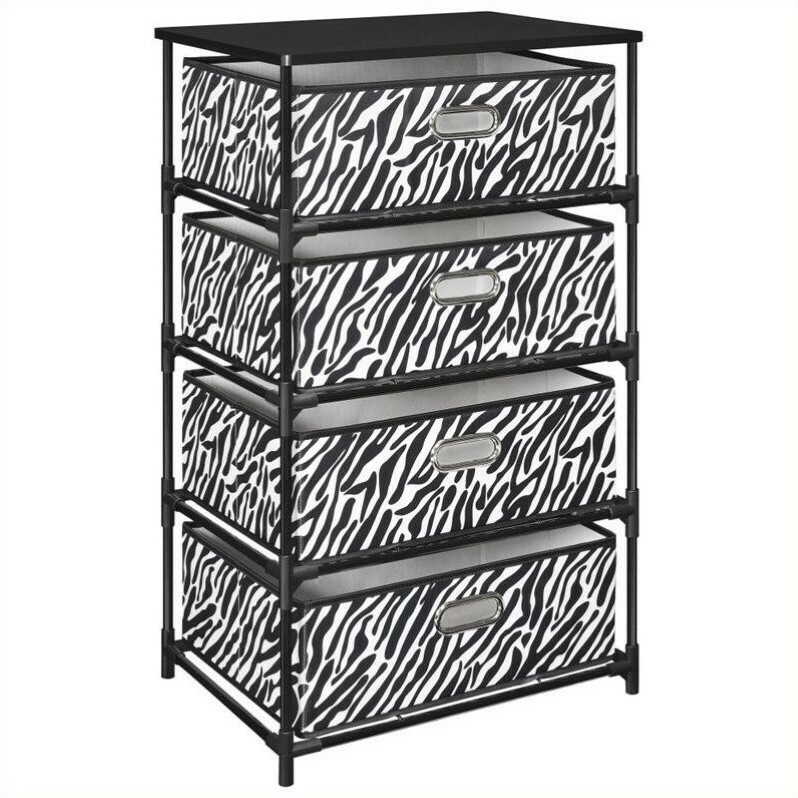 Go wild at college with this zebra-print storage end table. Perfect for clothes, shoes, books, or anything else you need to get off your floor. Features chrome grommet handle pulls, a durable metal frame and painted tabletop. Assembles in minutes without tools to make move-in day a breeze. Choose Ameriwood for ready-to-assemble furniture for modern home offices, living rooms and entertainment rooms, bedrooms, contemporary kitchens, bathrooms and more. Affordable and versatile, these collections come in warm wood, black or white finishes that complement many interior decor themes. Ideal for urban homes, young professionals, students, or anyone seeking space-saving solutions. Enhance or redecorate a single room with the versatility of Ameriwood. 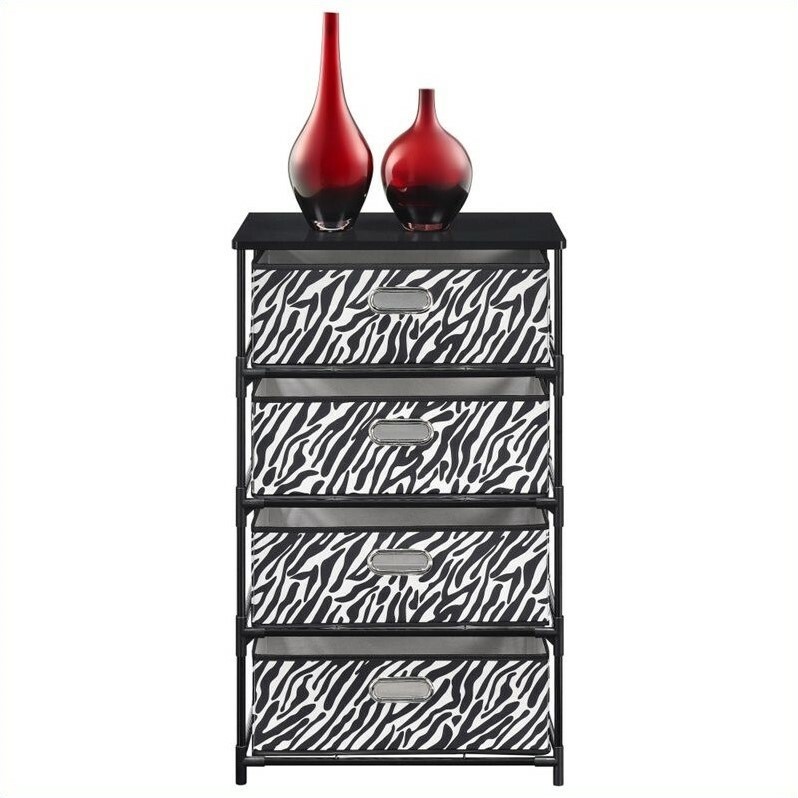 Furnish your house or apartment with coordinated furniture throughout. Ameriwood furniture products accommodate contemporary and transitional tastes with practical design features. Create a sleek, subtle style in your home office or den with linear, modular desks and office furniture. Start with one of Ameriwood's computer desks, writing desks, or student desks. 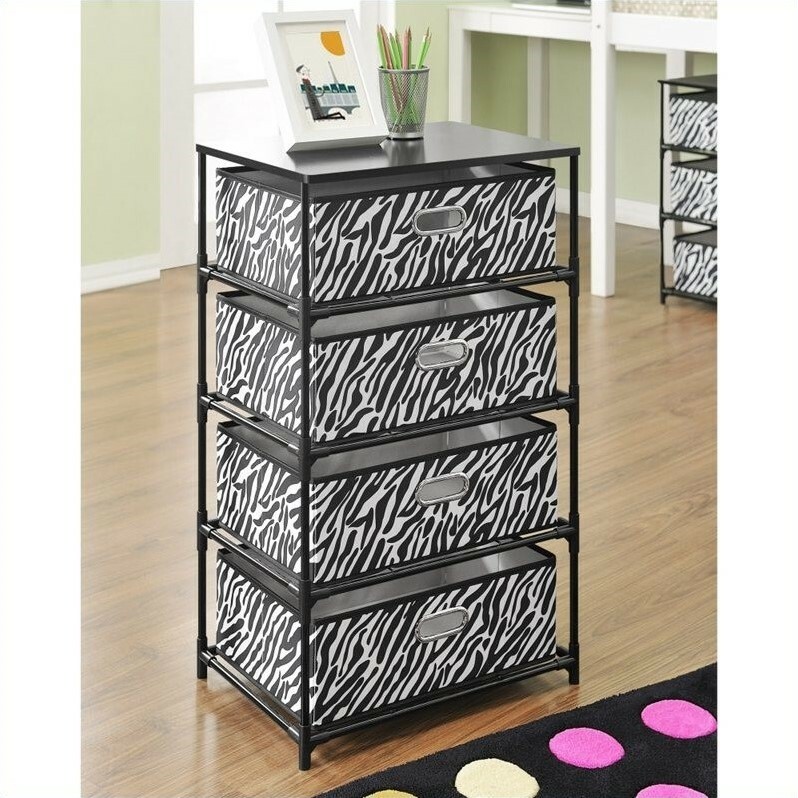 Add a hutch and filing cabinet for a customized layout and maximum organization. Complete your office with a bookcase, armoire, or personalized a-la-carte combination of coordinated furniture. Meet your storage needs in any room of your home with fashionable bookcases and armoires. 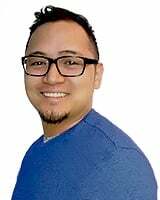 These pieces work well in living rooms, bedrooms and home offices, with an understated aesthetic that can pair with many other styles of furniture. Organize and beautify your updated living room or media room with a choice of TV stands and entertainment centers. Shelving and cabinets come in configurations and finishes to suit many tastes, while meeting individual storage and display needs. Add more sleeping space to your modern urban home with an Ameriwood sleeper sofa or futon. These beds are the perfect solution for guest rooms, youth bedrooms and student or young professional apartments, folding beds provide both seating and style to living rooms and bedrooms. This consumer rating is based on 431 reviews of all Ameriwood Home products. 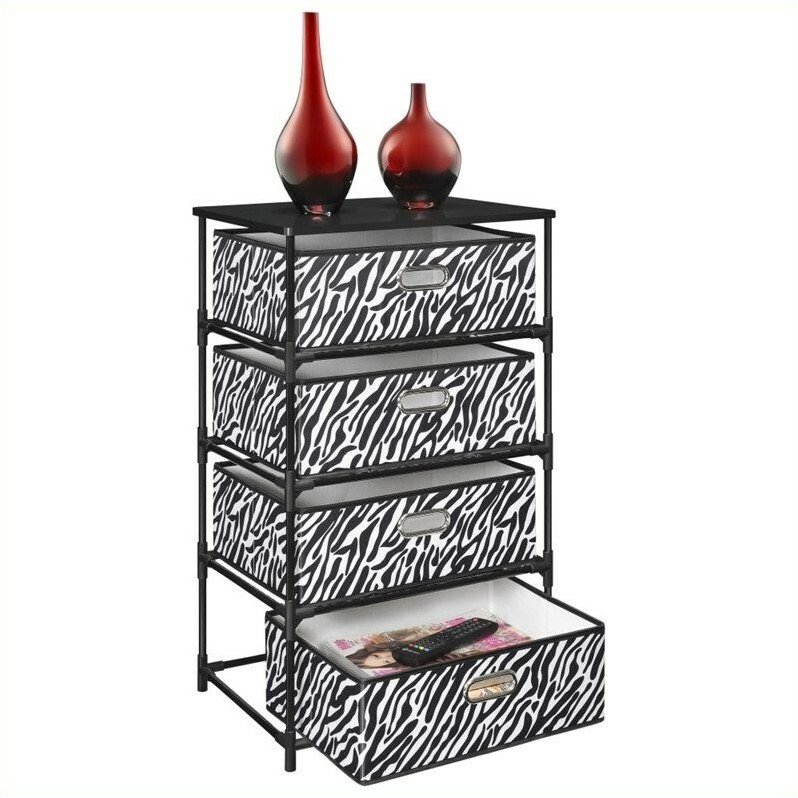 The 4-Bin Storage End Table in Black and Zebra Print has not yet been reviewed, be the first!